We documented three different hitters with the 2019 Louisville Slugger XENO. Each player hit no less than 80 pitches. Objective metrics like exit speed and ball flight distance were documented. We also paid attention to hand vibration and overall feel. After also reading every review online we could find, we write this 2019 Slugger XENO review. In short, we think the XENO the best fastpitch bat on for 2019. We aren’t the only ones to have information about the Xeno. Other places, in particular those who sell bats, usually have a boiler plate write up on the specs of a bat. Many of those we reference to make sure we are seeing what we should be. Here are some more references for the 2019 Louisivlle Slugger Xeno review. We found, without surprise, the XENO one of the favorite 2019 fastpitch bats. Players loved the sound of the bat. The stiffness in the handle was noticeable—especially compared to the LXT—and was preferred by stronger hitters. Exit speed numbers across the board looked great compared to other bats. We expect that with stiffer bats—where more power transfers to the ball. Since 2016 the XENO has been a fantastic bat that gets remarkable ratings across the board. If it were our money, we’d look for a new in wrapper older model version at a less expensive price. But, when those are out of stock in your particular size or drop, then you’ll be very happy with the 2019 Slugger XENO. The only structural change to the 2019 XENO, when compared to the 2018 version, stems from a lighter end cap. This new, light, end cap apparently allows for more integrity and length in the sweet spot of the 2019 XENO. Our testing was unable to prove this claim one way or the other. The 2019 version feels and swings like a great bat. So does the 2018 version. Assuming you can find the 2018 version in your size (these do eventually sell out) we think you'll be rather happy with the bat. 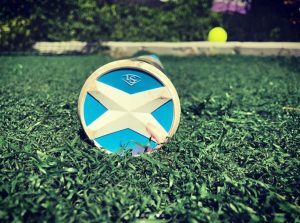 Most who bought the 2018 bat were over the moon about it. But, no doubt, the 2019 will get as rave reviews as the 2018 version did. It is, save the end cap, the same bat in terms of the S1ID Barrel and IST connection piece. 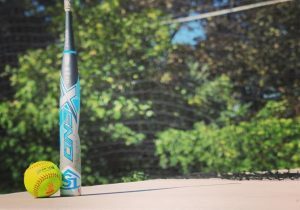 The Xeno from Slugger is as good as it gets in the fastpitch space. Some would argue there is nothing that compares to the XENO. Fair enough. But, if we were to suggest something else to look at if the XENO is up your alley, then how about the Mizuno Carbon 2? This is a two piece composite (like the XENO) with a stiffer connection (like the XENO) with a huge barrel (like the XENO) and a nearly identical swing weight to the XENO (at least in the 32/22 that we measured). It also has the same, brand new, price point. Of course the Mizuno Carbon 2 lacks the long and impressive pedigree as the XENO. This is most apparent in looking for more user feedback from a 2018 version—which the Mizuno Carbon 2 has none. The XENO, on the other hand, has been a fan favorite since they invented fastpitch. We hit with the 2019 LXT from Slugger nearly 800 times before writing this review. During that time, we documented exit speeds, barrel sizes and the swing weight of the bat. After several hours in the cage and consuming copious research on player feedback for the 2017 Rawlings Quatro Fastpitch bat, we present our review. DeMarini releases a couple bats within their 2019 D-Labs. The Prism has been out of stock for a while now there but do expect to see it in major outlets this (2019) fall. At least that’s as far as we have heard. As we mention above, the major change in this year’s XENO is a new, lighter, end cap. This weight savings allows Slugger to improve sweet spot length and barrel durability (their claim, not ours). Otherwise, expect the same great feel and construction that has made the XENO as famous as it is. That is, the S1ID Barrel is back as well as the IST connection piece. The swing weight of the 2019 XENO runs 4% heavier than the average 32/22 fastpitch bat in 2019. This is still lighter than some of the real high MOI bats like the PXT and Ghost Double Barrel. But, the heavier swing weight in the XENO is noticable and those who like lighter swinging bats need either look elsewhere or size down an inch (or drop). Traditionally, the XENO line is for more advanced players who like want as much power transfer to the ball as possible but still prefer the two piece composite design. The 2019 version should be no different. Stronger players, or those who like a real stiff feel at contact, will gravitate to the XENO. A lot of the 2019 literature for the XENO talks about a new ultra light X-Cap for the end cap. But, we see this on the 2018 version as well. Not sure if this is a misprint or misunderstanding. But, we don’t think the end cap is new. Like the 2018 version, the 2019 version will come in a drop 8, 9, 10 and 11. The drop, you should know, is the numerical difference between the length of the bat in inches and the weight of the bat in ounces. That is, a 32/22 is a drop 10. Or, a 33 inch drop 9 weighs 24 ounces.